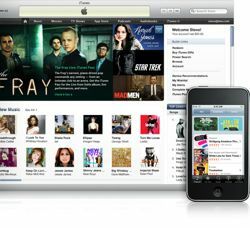 Apple has updated its official recommendations on for how to submit your podcast to iTunes. Select the Podcast icon in the left navigation of iTunes. Verify that your podcast shows up as you expect it. Click the green iTunes Store icon on the left side of the iTunes window. From the top navigation bar in the iTunes Store, click Podcasts. Note: You will need a valid iTunes account, and you will need to be logged into iTunes. If you are not logged in, iTunes will prompt you to enter your Apple ID and password before accepting your submission. Logging in increases the likelihood of valid contact information for each submission. You will not be charged for submitting a podcast. If you have created an RSS feed with all of the recommended iTunes tags, you will see a summary page immediately after you submit your feed URL. If you have not included <language>, <itunes:category>, and <itunes:explicit> tags in your feed, you will see a second screen prompting you for this information. You can change this information at a later date by including the tags in your feed. Your RSS feed is considered the current and authoritative source for information about your podcast. Apple offers a detailed resource on making a podcast in the iTunes section of their site. Keep in mind that Apple’s recommendations are Mac-centric and iPod-centric, and you should also test your podcast with other devices and software, such as Microsoft’s Zune. I am trying to submit a feed created with feedburner (http://feeds.feedburner.com/Gatinorama) a itunes says that there are ‘no episodes’, but there are 9 of them !